It’s International Women’s Day; a day of celebrating, respecting, acknowledging and loving women! How wonderful to be noticed for who we are and what we do! But let’s not forget: Our God loves BOTH women and men! Loving women does not mean to stop appreciating, respecting, or loving men. For we are all making sacrifices and trying to make our way through a sin-filled world. Jesus came to save both women and men from their sins, and give us eternal life! We have been hurt by men, and we have been hurt by women. We will be treated well by men, and we will be treated well by women. There are bad men, and there are bad women. There are good men, and there are good women. No matter how we have been treated, the silver lining is that God loves us all! To stop shopping, working, doing, or being a woman just for a day is not an answer. Being a woman who has a relationship with Jesus Christ, and pursues him in her imperfections, striving to do what’s good, honorable, noble and right, fighting to live when she no longer feels she can… is being a real woman. For no woman, and no man for that matter, is anything at all without salvation, power, and authority given in Jesus Christ. Don’t stop “being” a woman today; you’re much too valuable! Be who you are and go to your job, mother your children, go to school, do errands, or even take it easy if you want to. But be a woman in action, because it’s what you do and who you are; because you’re proud to be who God created you to be! Tell someone about Jesus… Another woman needs him today! ” ‘Many women do noble things, but you surpass them all’ ” (Prov. 31:29 New International Version). Women, you’re important, you matter, and you’re loved. 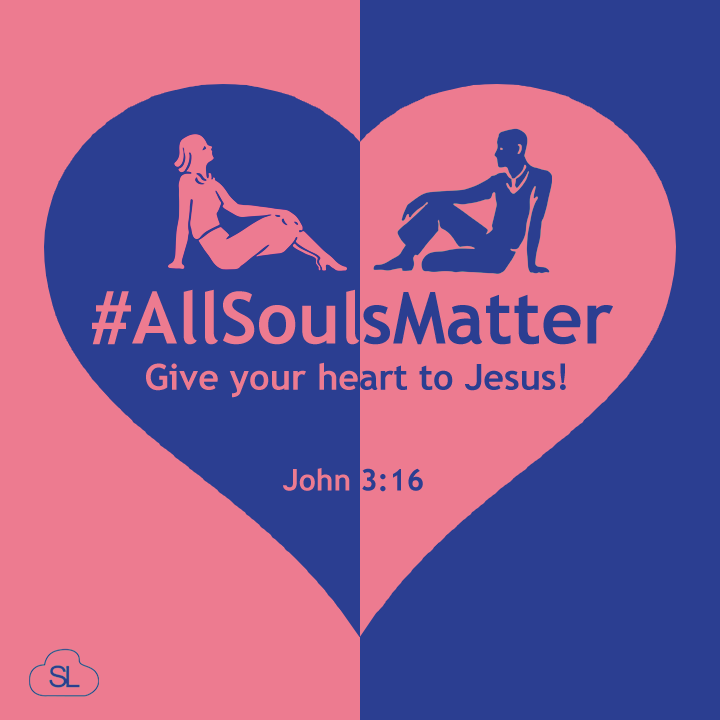 All souls matter, whether male or female, black or white, old or young. For we are all made in the image of God. Let the Bible tell you who you are! It’s much better than what the world says! “So God created mankind in his own image, in the image of God he created them; male and female he created them” (Gen. 1:27). Now, go out and be a real woman, and make a difference for the Kingdom of God! “Finally, brothers and sisters, whatever is true, whatever is noble, whatever is right, whatever is pure, whatever is lovely, whatever is admirable–if anything is excellent or praiseworthy–think about such things. Whatever you have learned or received or heard from me, or seen in me–put it into practice. And the God of peace will be with you” (Phil. 4:8-9). I very much love this passage Don’t stop “being” a woman today; you’re much too valuable! Be who you are and go to your job, mother your children, go to school, do errands, or even take it easy if you want to. But be a woman in action, because it’s what you do and who you are; because you’re proud to be who God created you to be!.Thank you so much for reminding us that there is something more important tHan the celebration of women the way it is done.